Eyal is a four time serial entrepreneur with a background in ICT and automotive ventures. 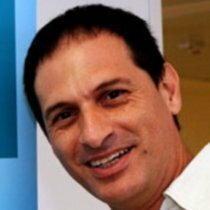 Specializing in a strategic-innovation, he is a scholar and head of the StartHub entrepreneurship center at the Academic College of Tel-Aviv Jaffa. Eyal has earned a B.Sc. in engineering at the Tel-Aviv University; Masters of Entrepreneurship and Innovation; and a PhD. from the Swinburne University of Technology, Australia.